Apparently Duda has been dealing with soreness in his back and hips. Had an injection recently that will require rest for a couple of days. The most shocking news in the history of professional sports just broke. A player with an injury that was never operated on and never healed apparently still has the same injury. I’m so confused. Lucas Duda is still injured? His cracked back is still slightly cracked? Why didn’t the back problem just magically go away over the offseason? Duda arrived at camp, took a few swings and grounders, and now he’s back (get the pun?) to getting painkilling injections all over the place. Pooooor Lucas. You know the deal. Pray for Lucas. Don’t you worry. The Metssiah will be doubling his pray effort for Duda. I host a special vigil in my living room for Mets players with cracked backs literally every weekend. The real person we need to pray for is Terry Collins. 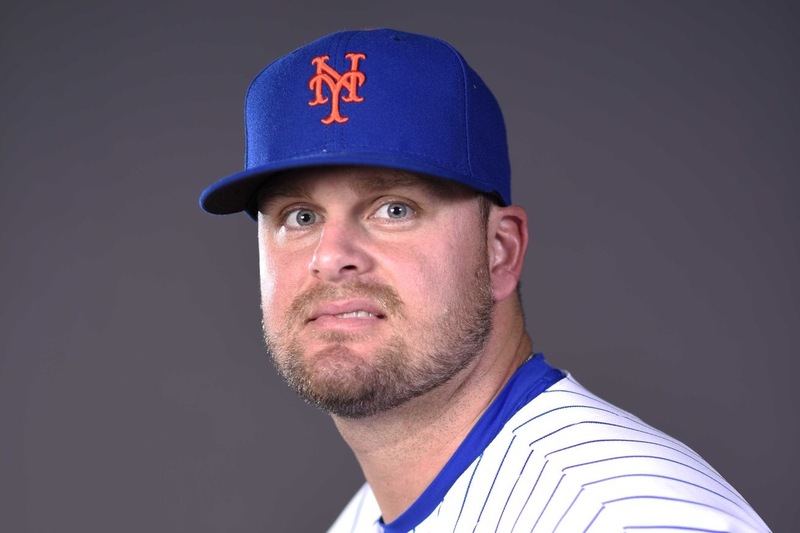 Duda will be on his third back injection a week before Opening Day and only then will Terry consider trying Jay Bruce or Michael Conforto at first base. Pray that Terry wakes up and finds a way to utilize his players (namely Conforto) in the most effective way possible. Otherwise #TeamCrackedBack (i.e. David Wright, Lucas Duda, Neil Walker) will all be out on Opening Day and Terry will have T.J. Rivera at second base and Wilmer Flores at first base and still find a way to have Conforto rotting away in the Vegas sun. Bummer! Lucas is a big guy and never shied away from throwing himself to the ground to stop hard line drives (see DW). These guys give it their all – sometimes the body says stop. Best of luck to him and let the first base games begin!